Thomas E Richards went to be with his Lord and Savior, Jesus Christ on April 8, 2019. He was born in Manchester, Jamaica to Edith and Stanley Richards on December 9, 1923. At the age of 25, Thomas joined the Jamaica Constabulary Force as an officer, where he served respectfully and honorably.In the late 60’s he migrated to the United States and worked at Salomon Barney Investment banking and Prudential.He enjoyed reading the Bible and discussing scriptures with friends and family. 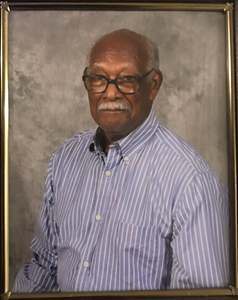 Mr.Richards is survived by his children Samuel (Llyod)Richards, Lenius Richards,Hector Richards, Sonia Richards, daughter-in-law, grandchildren, great grandchildren,nieces, nephews, friends and other relatives. Services for Thomas Richards will be held at Spring Meadows Seventh Day Adventist Church on Sunday, April 21, 2019. Viewing will begin at 9 am followed by the service at 11am. The burial will take place at Longwood Memorial Gardens. Add your memories to the guest book of Thomas Richards. Mr.Richar was a very sweet soul,and we enjoyed his company over the many years we have known him. Our deepest sympathy to the family. Mr. Richards was always so kind to my family and I. We lived a few houses away and he would always check on us and leave a bag of oranges or something on our porch. He joined us many times for Sabbath lunch and we loved his company! We looked out for each other and my Mom & Him were very close! She left 2 months ago and now he has followed...We miss them both terribly! I will always remember visiting with Mr Richards after work on Wednesday afternoons. There was never a dull moment. He was always full of life and smiled happily as he shared about his children and grandchildren. We were always amazed at how self sufficient he was. My daughter Abigail and I will miss him. We were honored to be his friend. “Sunset on earth is sunrise in heaven. Dearest Hector, My sincere and deepest condolences to you and your entire family with the passing of your beloved father, may his soul now rest in Perfect Peace!